We did some exciting things today! 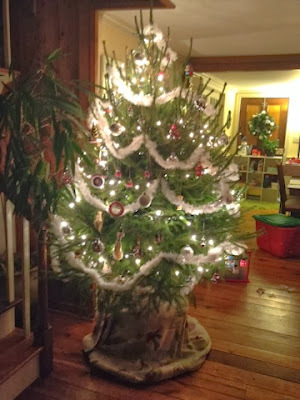 We brought our ball and burlap tree inside and decorated it. The little table top tree was the perfect filler but it feels good to have the real McCoy inside. 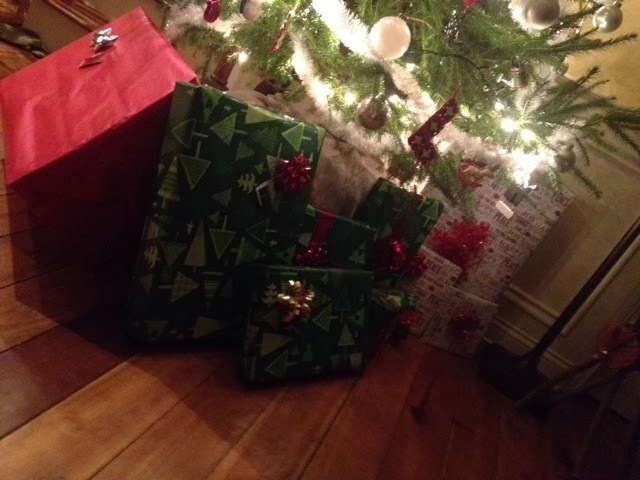 We even have presents wrapped and ready! It was a super warm day so we also went to our property and staked off the perimeter of our house to help us get an idea of where exactly we want it. David and his dad also went ahead and dug the holes for the Christmas trees we will be planting. We have ours of course, then David's parents and my parents are gifting their to us too. Flashback! 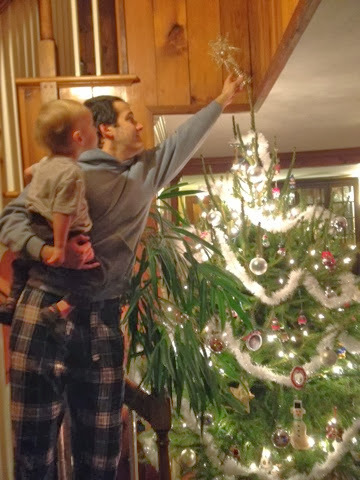 Here's what we were up to one year ago today: "Winter "Break" Has Begun"